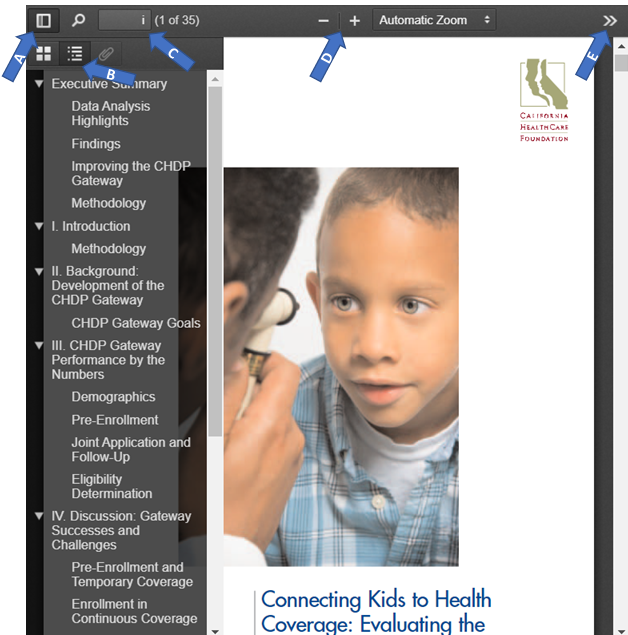 Click the double arrow icon (E) to see more options such as switch to full-screen presentation mode, print, and download. Presentation mode is not currently available in Internet Explorer 11 browser. 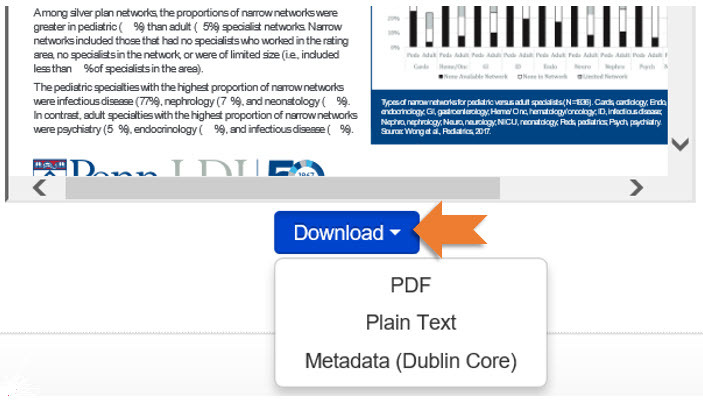 Download the PDF, plain text (if available), or metadata files for your own use from the resource record page using the Download button below the PDF viewer. Figure 2: Resource Record with download button expanded. Click each option to download the PDF, plain text, or metadata files.